It sure has been a transformation just from one season ago, and that was a major transition from the year before as well. If you didn’t know by now, the Seahawks shift their roster more than anyone these days. As I was doing research for a previous article, I stumbled upon a statistic that even startled me even with the well documented 300+ transacations Pete Carroll burned through last season. In just the past two draft classes alone, Pete Carroll has involved a ridiculous 17 draft choices in trades for veteran players. Most notably he traded a third and swapped seconds for Charlie Whitehurst, dealt a fourth and fifth round choice for Marshawn Lynch. That’s just scratching the surface, essentially he has involved over two standard draft classes in terms of # of choices in trades to bolster his roster. He has shown no qualms about flipping choices and I don’t see it being a deterrent now. Reports are accurate that the Seahawks are in the Osi Umenyiora hunt and while nothing is official yet it’s being reported this morning teams are expected to “beat the door down” at a second round asking price. Among the three most prominently linked teams, the Ravens, Patriots, and Seahawks; most would argue that Seattle will finish with a higher draft position. Hell, I will be more than happy to second that claim. If Pete Carroll is comfortable with the second round asking price, Umenyiora will be a Seattle Seahawk, I think that’s 100 percent certain. 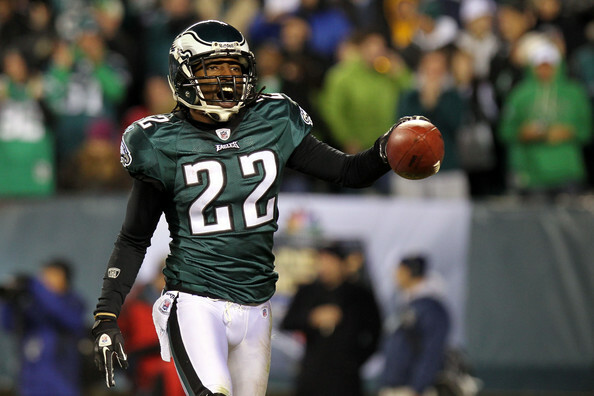 Another veteran on the market at a position of need is Asante Samuel. Samuel is not a reported rumor at this moment except for the fact Andy Reid confirmed teams have called with offers for Samuel, no teams were indicated or implicated, including the Seahawks. The logic for me on Samuel is; if Pete Carroll traded a third and swapped seconds for Charlie Whitehurst; would he not offer a third and a foufth/fifth for him EVEN if he gets Umenyiora? He did it last season and still ended up with a first, third, and 2 fourth round choices. He already involved his second, third, fourth, fifth, six, and seventh round draft choices from this recent draft class alone in trades for veteran players, Samuel would certainly not cost more than any of those choices. Most would argue Samuel is a better player than any of those acquired in these past trades. If you add up these past moves and the fact Carroll has proven to be trigger happy it’s probable one of either Umenyiora or Samuel will be donning Seahawks blue. If Seattle strikes out in their pursuit of Umenyiora I wouldn’t be surprised to see them make a run at Samuel if he is actually available and I feel the Eagles will probably ask for a second round pick. It’s already been a good free agency period, and I think Pete Carroll is working on bringing another prize to Seattle falling completely under the radar in the process.. Keep on soaking up the praise Philadelphia, I think the Seahawks are better off being underestimated than overestimated. 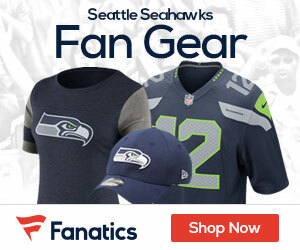 You can view up to date Seahawks free agency news and rumors by clicking here.